The MilPAC III is built to withstand harsh environments, transport handling on wheeled and tracked land vehicles, and transport handling on fixed and rotary winged air vehicles. Its rugged aluminum and composite construction provides survivability in deployed environments 24/7. 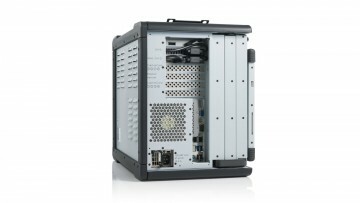 In addition to its highly rugged build, it packs some serious computing power with 3 full HD displays and high efficiency thermostatic convention cooling and airflow systems into an easily transportable package. High efficiency thermostatic convection cooling and airflow systems result in a quiet, professional system at normal ambient temperatures that can also perform when the environment gets extreme. 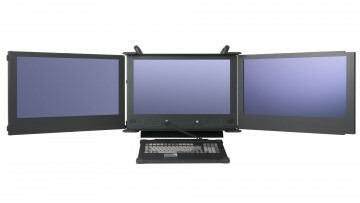 Three 17.3" HD displays give a working resolution of 5760 x 1080. 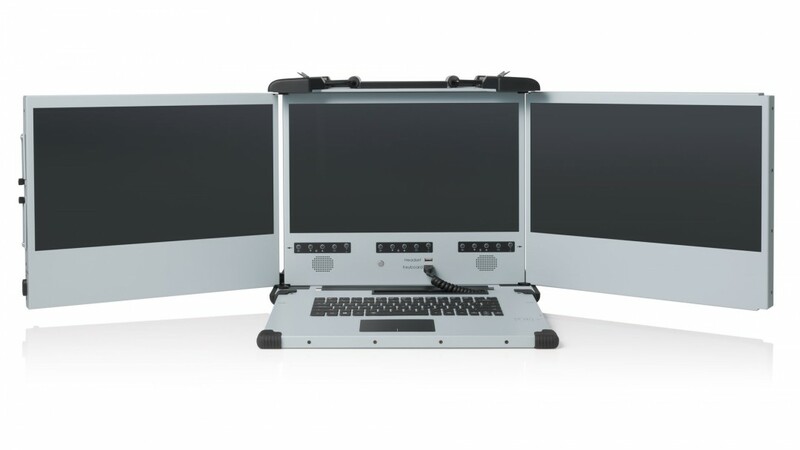 Outputs for each display enable mirroring to external HD TV or projector systems, and multiple SD/HD video capture inputs make the MilPAC III the hub of an integrated C4ISR system. 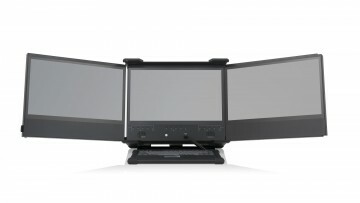 Add-on building block display modules are also available in a separate shipping case to expand the displays to a 9-display 3 x 3 configuration, or 5760 x 3240 scene space. 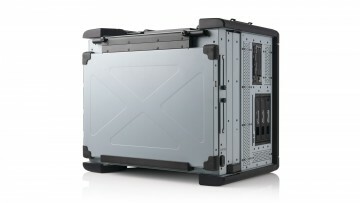 The MilPAC III is highly configurable; please contact us to optimize your specifications.